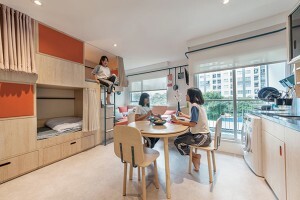 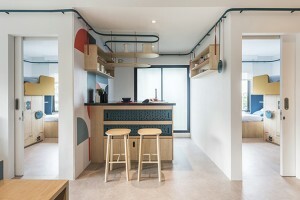 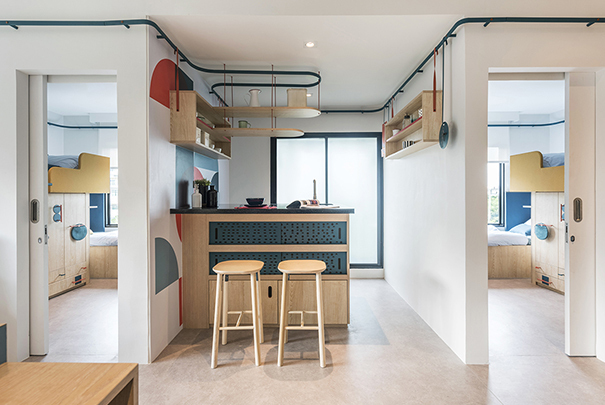 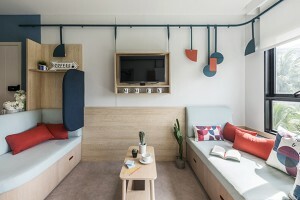 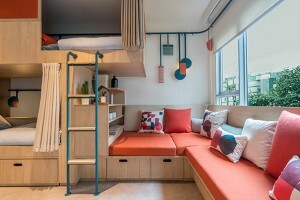 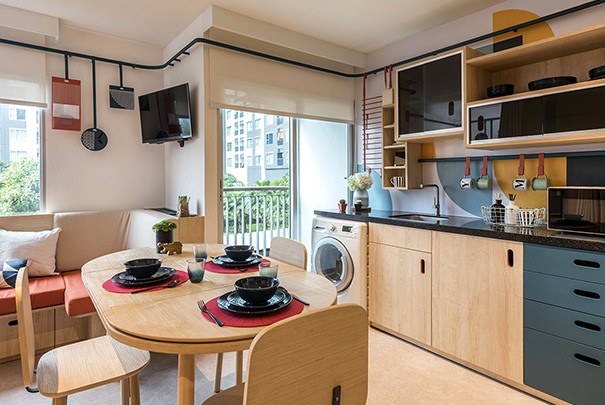 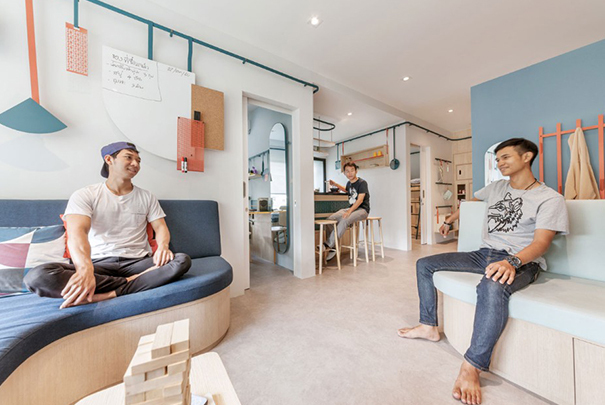 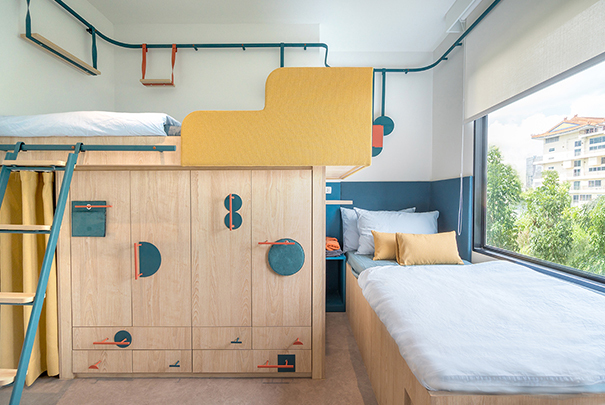 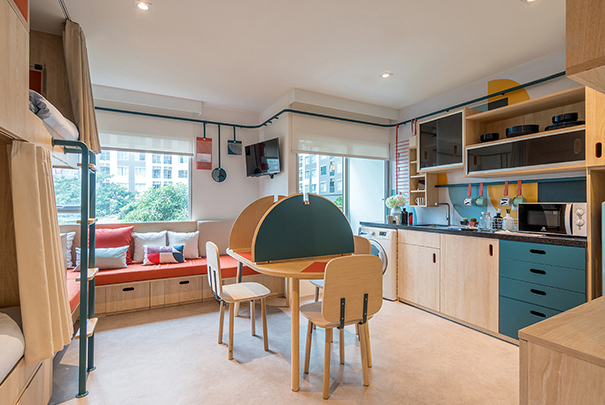 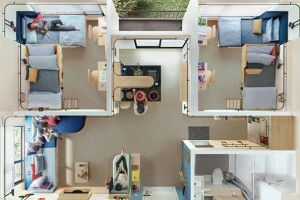 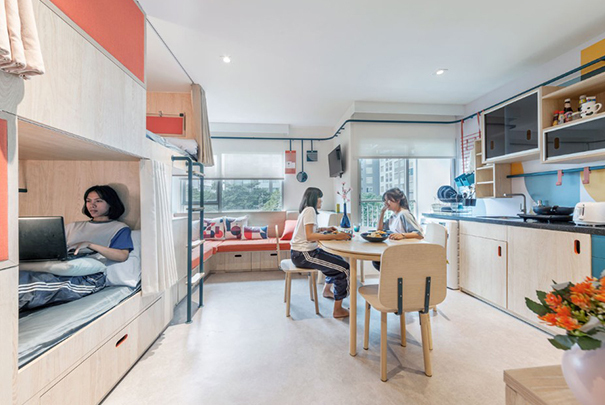 Space Scholarship is a Corporate Social Responsibility initiative by AP (Thailand) Public Company Limited, a leading property developer in Thailand, who commissioned to Fabrica the interior design of some condominium units in vibrant Bangkok. 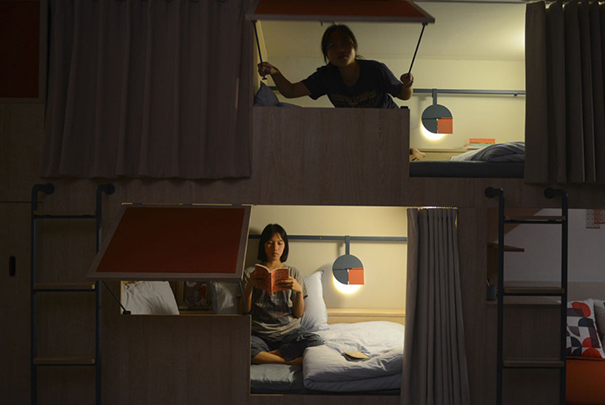 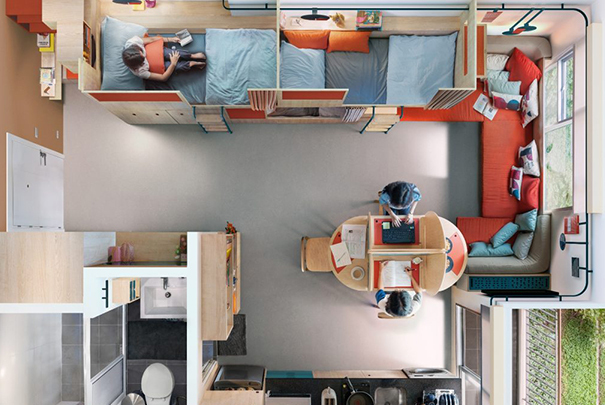 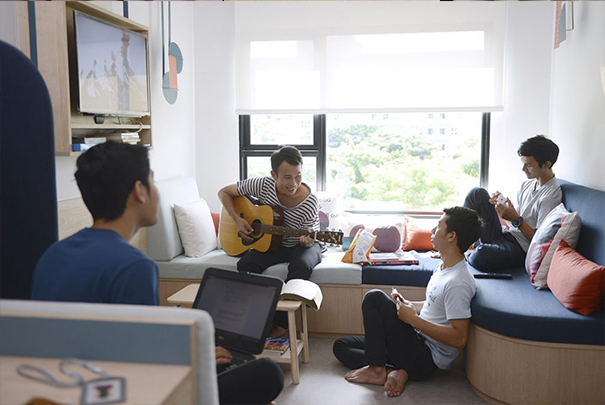 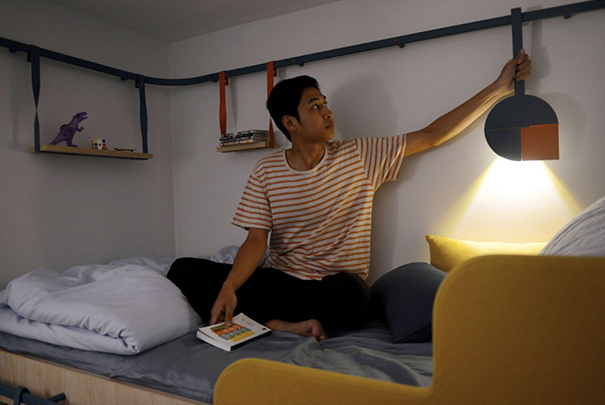 Space Scholarship is new co-living space given to seven students with financial difficulties in the form of a scholarship. 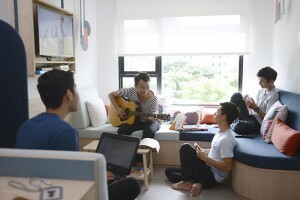 The aim is to enable communication and human relations, allowing the students to benefit from a shared personal life and grow in a sense of community, keeping elevate standards of quality, service and safety. The challenge for Fabrica was to design spaces for students – male and female – coming from different provinces, backgrounds, religions and cultures, who never met before. A theme which is very close to Fabrica, where since 1994 every day young thinkers from different countries share experiences and thoughts.